Our daughter was an incredibly picky eater and had many sensory issues. I could only get her to eat Mac and Cheese, really. 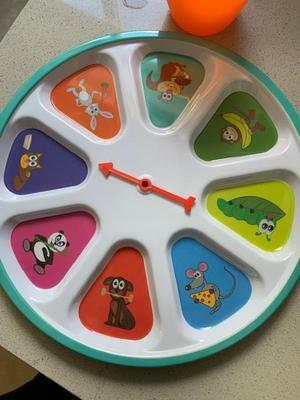 I found this plate on Amazon and it has made a game out of eating for her. It has not cured her completely, but she now has a decent variety of foods that she eats. Several of them vegetables. So I thought this would help other parents. It is called SpinMeal plate. This spinmeal plate sounds amazing. Anything that encourages kids to eat a variety of foods is a find! Thank you for posting!